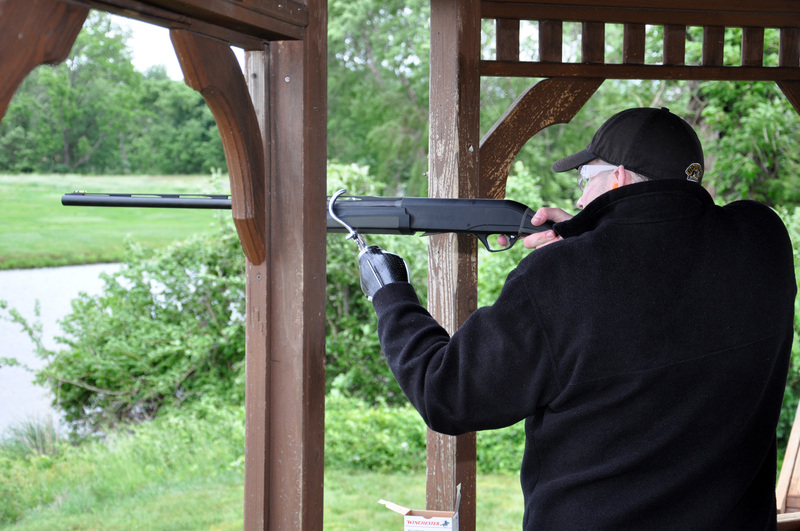 Pintail Paint, in Queenstown, Maryland, is one of the top shooting facilities on the East Coast and also where Union Sportsmen’s Alliance (USA) holds their annual sporting clay shoot. 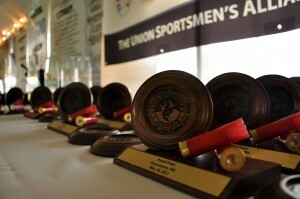 For three years now, Freedom Alliance has worked with USA to build four teams of four service members to compete for the “Best Shot” trophies, which are awarded to the best overall shooter and team. This year, we arrived early on the day of the competition with twelve service members. Our teams included soldiers from the 82nd Airborne Division Warrior Transition Unit, the Marine Corps Wounded Warrior Battalion, and the U.S. Special Operations Command (SOCOM) Care Coalition. After registering, each soldier was presented a soft rifle case, a buck knife, and a raffle ticket for the chance to win a prize. Once the crowd was welcomed, briefed on safety procedures, and made to sign waivers, the teams set off to their assigned posts. On another squad was Lance Corporal David, our Marine friend from Walter Reed. When stationed in Cambodia, he encountered a decades-old French landmine, which erupted in his hand, while he held it out away from his body. 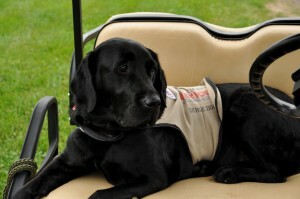 He suffers injuries to his eye, arms, and chest. The other members of his combat team were injured as well, but less so since David took the brunt of the blast. David’s prosthetic arm didn’t give the clay pigeons any advantage on this day, however! David was joined by Staff Sergeant Kevin, who is assigned to Watler Reed to help SOCOM Care Coalition their injured operators attend outdoor sports events, such as this USA sporting clay shoot. Kevin was an excellent shot as well, and after a couple of stations, all our team members found their rhythm in the shooting groove. The temperature dropped about ten degrees during the shoot, which was accompanied with rain, and so by the 20th round, the troops were cold, wet, and ready for a meal. After chow, the USA leaders handed out awards and raffle prizes. Two of our teams took home the Best Shot trophies in their division—the expert marksmen from the 82nd Airborne and the All-Freedom Alliance Team vets. The USA folks made this a very special day for our injured service members, and it was an ideal way to honor our heroes so close to Memorial Day. Thanks USA and thanks to the soldiers who competed!